This trip, you will visit the market on the railway tracks over a 100 years old and try coconut sugar specially local here that I am sure you will love it! Take a train to Mahachai Station. Take a boat along the river. Arrive at Tha Chalom Pier and then take the train to Ban Laem Railway Station. 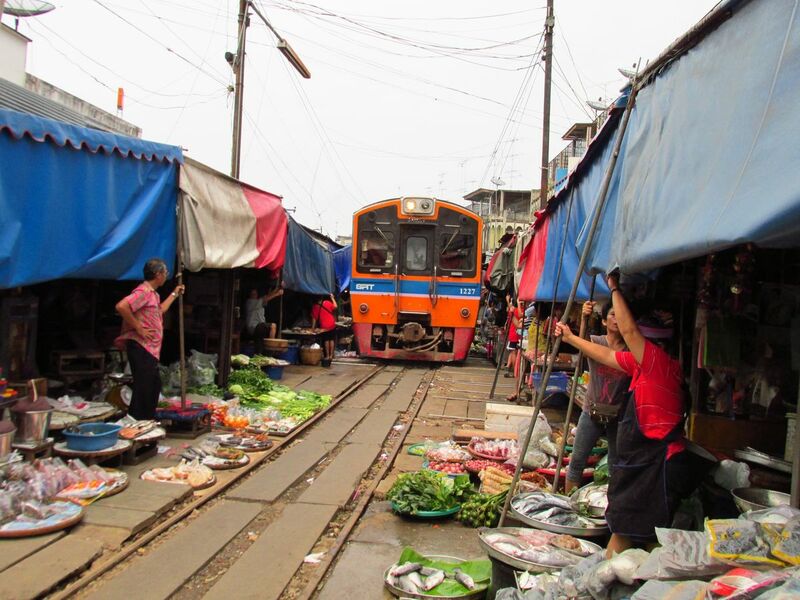 We'll take a photo at Maeklong Railway Market and walk around for see the way of life of the shop trader on the tracks. Then we will continue our journey with a local minibus for you to find the delicious food and sugary garden you are looking forward to. On the way we stop at the famous noodles [Ngai Noodle] restaurant with a big bowl and can add noodles and soup as you can eat. When our stomach is full, but our brains are still hungry, so we will go to the sugar farm to get to know truly about coconut sugar. When you enjoy coconut sugar, it's time to have lunch. I will take you to eat crabs and curry typical of Samut Songkhram. When you are full I will take you to BTS Wongwian Yai and unfortunately we have to say Goodbye. You can see the market on the rail for 100 years, and you will also visit the sugar farm and know more about the fact of sugar! Use insulin as a help, it will be good to your body. You do not have to prepare anything because we are traveling by train and boat, so I want you to bring a camera just to find it.